Anyone whos seen I Am Trying To Break Your Heart, the documentary of Wilcos last couple of chaotic years, can be forgiven in thinking that bassist John Stirratt was looking for the first opportunity to return to the relative serenity of his soft rock side project. However, this sophomore effort is much more than a bass-mans holiday. 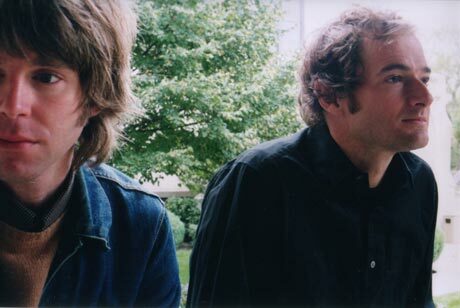 Stirratt and multi-instrumentalist Pat Sansone have furthered their initial collaboration on 01s The Green Hour with an even more glorious tribute to heavy mellow landmarks such as Loves Forever Changes. Like the orange sunset on its cover, Circles immediately sets a laid-back tone, but its intricate harmonies and arrangements never fail to engage. If Wilcos Yankee Hotel Foxtrot was the sound of a band reinventing itself without any reference points, the M.O. of the Autumn Defense is an unabashed reverence for the classic California sound. Sure, such a syrupy description might be an instant turn off for many, but anyone who admires Rufus Wainwright or Belle and Sebastian will get the bittersweet appeal of songs like "The World (Will Soon Turn Our Way) and "Iowa City Adieu. If Stirratt wasnt a member of one of the most important bands on the planet, Circles by all rights should be hailed as a major triumph. But as such, its charms will have to be savoured only until the next Wilco album inevitably overshadows it. This album seems much more focused than the first one. True? Sansone: Yeah, John and I worked a lot more closely together this time. With The Green Hour it was largely a case of the two of us just having some songs we wanted to record and the results were kind of all over the map, sonically. On Circles we definitely wanted a consistent vibe throughout the album, and I think we achieved that.